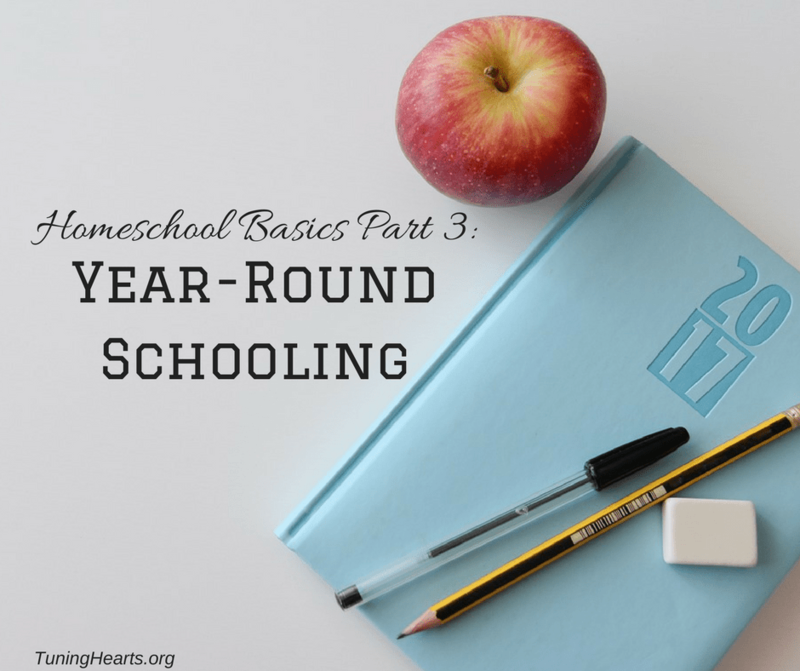 Welcome to Part 3 of my Homeschool Basics series! Missed the previous posts in this series? No worries! Part 1: Why We Homeschool is here, and Part 2: How We Homeschool is here. It is July, which means many homeschool families here in the United States are knee deep in planning for the coming school year! A lot of families have actually already started school, too. Some start in July because it gives them more time off for the winter holiday season. Others because the area in which they live is just so stinking hot in the middle of summer that they might as well stay inside and so some schooling! Then they take a longer break in the fall when the weather cools off again. One big advantage of homeschooling is that you really do not have to stick to the traditional school year if you do not want to! Since my husband works in academia, the traditional school calendar actually would work well for our family, but we also have a fall birthday to work around. Because we are currently using Ambleside Online as our curriculum, we really wanted to wait to start his Year 1 work until after his 6th birthday. We also had been doing some more traditional school at home before I discovered Charlotte Mason, and we needed some extra time to relax and refresh our family rhythms after finding that too stressful. Enter, Year-Round schooling with a January start! Sounds strange if you haven’t heard of it before, but it is pretty simple, actually. We start our school year in January, and every 6 weeks, we take a week break. I think I first heard about the 6 weeks on, 1 week off schedule from Mystie Winkler of Simply Convivial. I plan for about 5 weeks for summer break, and we also take a break from Thanksgiving through New Years. I got this idea from Dawn Garrett, who blogs as LadyDusk, who calls this long winter break their Yuletide Session. Setting up our school year in this way allows us a good amount of rest times throughout the year in which we can enjoy the weather when it is good and enjoy the holidays without the added stress of trying to push through schoolwork. It also gives me time to plan when it is cold and dreary outside instead of when it is prime outdoor playtime in the summer. This year, however, we do have the added problem of being in the middle of a move that is not on a schedule. We had planned on going ahead with school and just stopping when the actual moving date got near, but once we were a few weeks into our summer school session, it was clear that this was not going well. Being in transition for a long period of time has taken its toll on all of us, and we just needed to back off from the “we have to do this!” mindset and focus on relationships for a while. Our winter break might get shortened, but that is ok. We are never really “behind” because we home educate, and we are learning every day, even if it does not involve sitting at a table and doing math worksheets! How about you? What sort of schedule do you use for your homeschool year? What do you do when “life happens” and your schedule needs to change? Leave me a comment below! This post is part of the Homeschool Nook Link-up Party.